January 27th was designated as a NATIONAL DAY OF PROTEST with "Bring the troops home now!" events scheduled throughout the country. 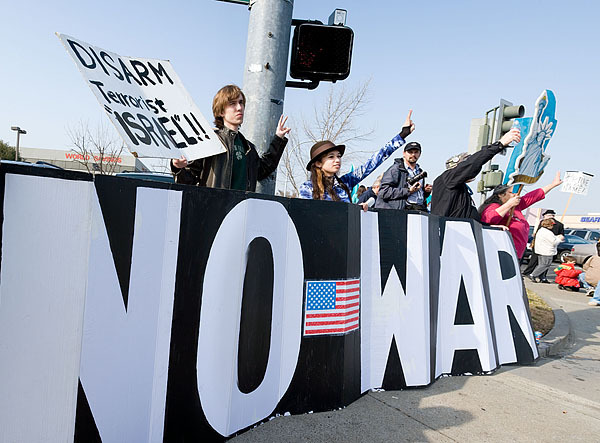 While hundreds of thousands rallied in Washington D.C., Sacramento peace activists gathered at the intersection of Arden and Heritage, providing mall shoppers an opportunity to honk their support for peace. Information on upcoming peace and social justice rallys can be found at http://www.1240talkcity.com/events/, or listen to the Christine Craft Show, weekdays 2 - 6 PM, 1240 on your AM dial.